South Indian River Fishing Report - Snookin' Time Again! Winter weather patterns have continued around the Treasure Coast this past week. Windy days and a few cool nights have made it the usual challenge to get out fishing. We were rewarded with a couple of days that reminded me of summertime fishing. Tuesday was one of those few calm days out there and it was a fantastic day to be on the water! 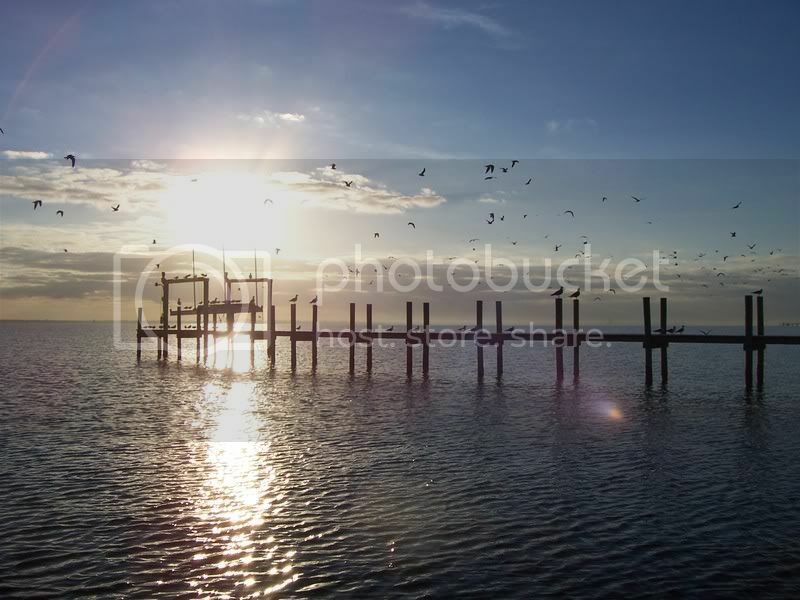 Summer-like morning on the Treasure Coast this week! 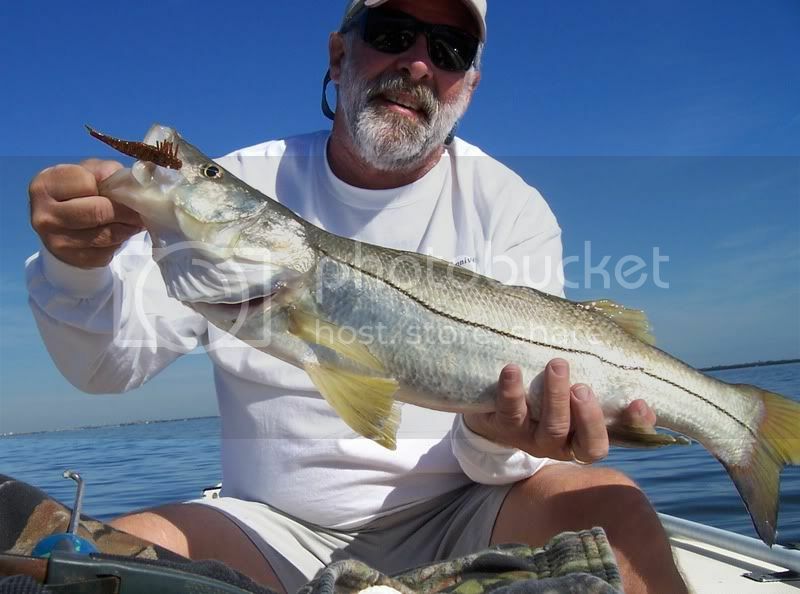 Once again, Snook Season opens along the Atlantic and the Treasure Coast of Florida on February 1st. Many anglers will be out at midnight tonight in an attempt to catch that elusive slot size fish. Most of the bridges around the area have been holding lots of snook. Live shrimp or pinfish is the popular bait of choice, but feather jigs, DOA Terroreyz, or Bomber lures are also local favorites. 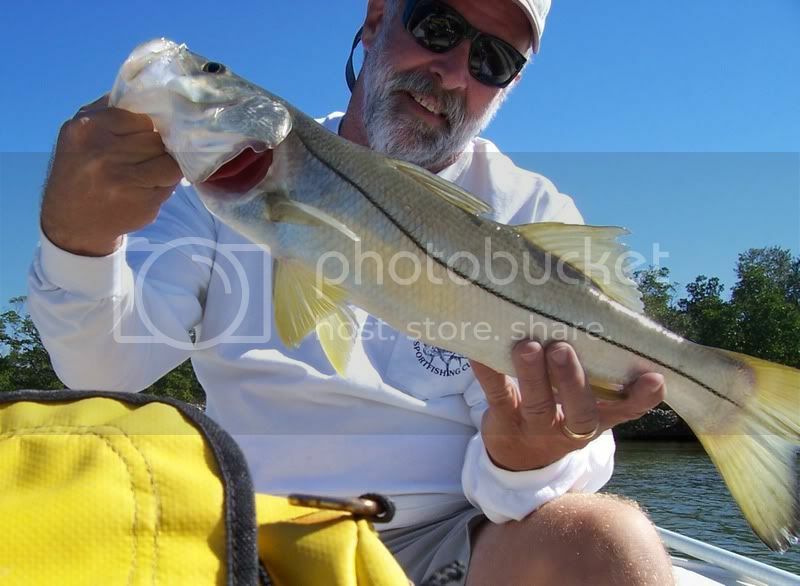 Fish the outgoing tides around the bridges or seawalls for a chance at your snook. Local docks are another area that snook tend to inhabit. I was able to pull a slot size from under a dock this week south of Fort Pierce. I saw more redfish on Tuesday than I have seen since summer. With the water so flat out there, you could see the action too good. The water was clear and the fish could see the boat too well. I managed two hookups and saw easily over fifty reds along the mangroves in less than two feet of water. Most were in small packs of three to six fish. With the water so clear and too quiet out there, they are easily scared. Move silently and slowly to get your chance. If you drift to quickly, you will usually drift on top of them. DOA rootbeer shrimp are a great choice, along with cut bait or dark jerk baits. This 20" gag grouper was a sucker for a DOA! Trout were scattered, but with an early morning top water or suspending lure, you can coax one into striking. I found trout in two to five feet of water. Later in the mornings, switch to jerk baits or live shrimp. Harbor Branch or Queen's Cove are good places to start. I saw a number of small schools of nice size bluefish up to five pounds. They are agressive and put up quite a good fight on light tackle. Bridges have held lots of sheephead. I saw many schools of them on the flats this week that held from a half dozen to at least fifty fish. Black drum have also been biting around the catwalks. I had a few reports of sand perch, snapper and croakers around the bridges. Live or dead shrimp have been the best baits on a number four or six long shanked hook. Jetties have yielded mackerel, bluefish and jacks. Ladyfish and jacks continue to rule the water just off the edges of the flats. Whiting and pompano are what the beachgoers have been targeting. Shrimp or sand fleas can provide dinner for you along the surf. Those that want some other action can fish a shiny lure, like a silver spoon, and have a chance at jacks, bluefish or mackerel. The weather has given us some nice opportunities along the beach this week. I spoke to a man this week, who said he hadn't been fishing in a while. He told me that he had guessed at sizes and limits of fish recently and ended up keeping both undersized fish and over the limit. After having been checked by an officer, he received a ticket for his wrong guessing. I don't know what it cost him, but I am sure it was more than he wanted to pay for his guesswork. Know your sizes and limits when you go fishing. It's not worth the cost of a fine to take the chance at keeping illegal fish! Sounds great! Already got some Snook rigs made up! Launching the yaks from either Thousand Is. or MINWR Saturday after next. Hope to jump some Reds or at least see some tailing. 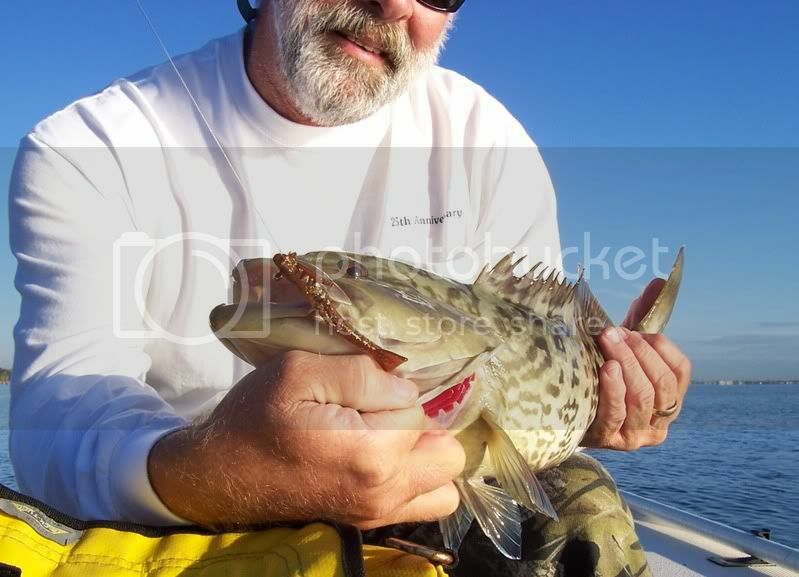 Man do I love those Grouper and Snook! And them Grouper are some kinda tasty! Think I need a way down south fix this year! The somewhat foggy mornings in the lagoons are one of the most beautiful things you will see. Kind'a make you go, where was that splash, which way do we paddle? You got me drooling to get out again! !